Chasing perfection is, for mere mortals, a futile pursuit. Many have tried and many have got remarkably close but for Charles Rolls and Henry Royce, their singular pursuit of perfection and of making ‘the best motor car in the world regardless of cost’ has turned the world’s most instantly recognisable car brand from a mere marque into a global icon. An icon forever associated with style, sophistication, elegance and pure, unadulterated motoring pleasure. Described as a ‘adventurer aristocrat’ and educated at Eton and Cambridge where his fixation on engines earned him the nickname ‘dirty Rolls’, Charles Stewart Rolls set up C.S. Rolls & Co in Fulham in January 1903. The company started with £6,600 from Rolls’ father, the 1st Baron Llangattock, importing Peugeots from France and Minervas from Belgium. At the same time and at the diametrically opposite end of the social scale, the flour mill his family ran near Peterborough failed and Frederick Henry Royce, along with his parents and four siblings moved to London. After his father died in 1872, Royce, with just a year of formal schooling under his belt, went onto the streets selling newspapers. Short-term engineering jobs in Peterborough, Leeds and Liverpool led to him forming FH Royce and Company making dynamos and electric cranes but after competition intensified from Germany and the US, he decided to focus on making cars. He made a grand total of three, two-cylinder engined cars and called them Royce. He gave one to his business partner and sold another to one of his directors, Henry Edmunds. By chance, Edmunds was friends with a London-based car dealer called Charles Rolls and arranged arguably one of the most famous of all 20th century meetings, that of Charles Rolls and Henry Royce at the Midland Hotel in Manchester on 4th May 1904. 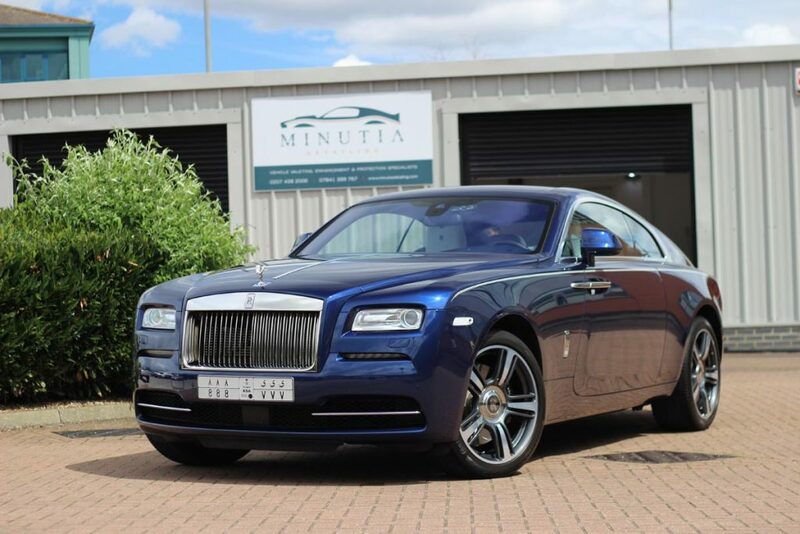 A deal was struck in December the same year that Rolls would take every car Royce could make and despite Rolls’ preference for three and four cylinder engines, he was suitably impressed with the Royce 10. 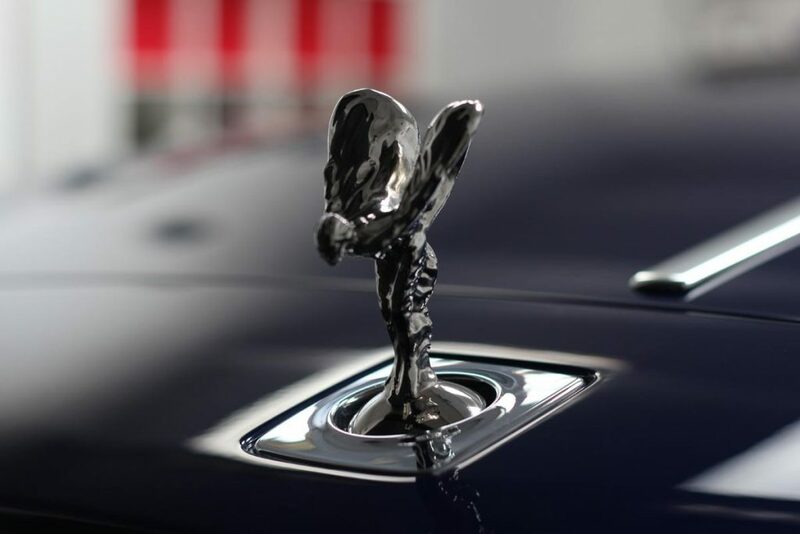 The cars would be badged Rolls-Royce and the first four cars produced offered a taste of what was to set Rolls-Royce apart for the next century. The 10hp model was unveiled to the public at the Paris Salon in 1904 and two years later, the two pioneers formalised their business dealings, creating Rolls-Royce Limited on 15th March 1906. They decided to locate their production facilities in Derby because as an incentive, the city council offered them cheap electricity. Managing Director Claude Johnson, often described as ‘the hyphen in Rolls-Royce’ ran the show and like many of the early automobile manufacturers, he saw the value in entering cars in competitive races to increase awareness and put the cars in the public’s eye. 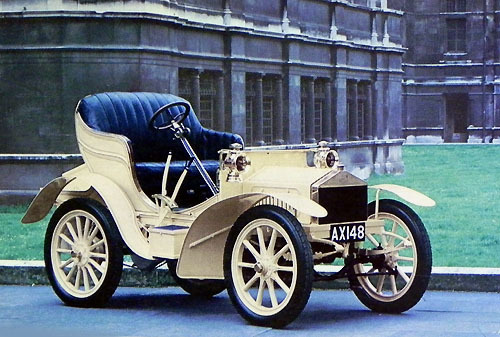 With a ‘one model’ focus in the new factory in Derby, the Silver Ghost was produced exclusively until 1925 and it was the car that coined the phrase ‘the best car in the world’, not by the company but by Autocar magazine in 1907. With a keen interest in flying, Rolls tried and failed to get the company to build aircraft engines. He bought one of only six Wright Flyer planes and completed almost 200 flights including becoming the first man to make a non-stop double crossing of the English Channel. He died on 12th July 1910 when the tail of his plane broke off during an air display at Hengistbury Airfield in Bournemouth. He was just 32. 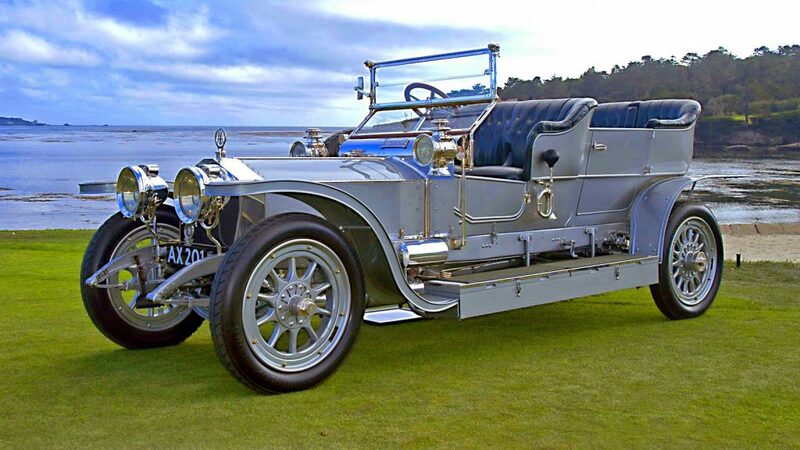 Still, the company went from strength to strength and if proof were needed that the Silver Ghost was indeed the best car in the world, it came in 1911. The government of India ordered eight to be used by King George V and his considerable entourage during the Delhi Durbar, the ceremony marking the succession of an Emperor or Empress of India. The company joined the First World War effort, producing armoured vehicles for the army’s top brass as well as aero engines that, unbeknownst at the time, had applications in future road cars, namely front brakes and power-assisted steering through a gearbox-driven servo. Responding to post-war market demands, a cheaper model intended for owner-drivers known as the ‘Twenty’ was introduced in 1922 and in the seven years of production almost 3,000 were built. After the Twenty, three versions of the Phantom – including a version with the first V12 engine – were built before the outbreak of World War II as well as the purchase of the smaller Bentley marque in 1931. The latter’s finances couldn’t weather the Great Depression’s storm and from then until as recently as 2002 after Bentley was bought by Volkswagen, both models were virtually mechanically and visually identical, save for the radiator grill. Henry Royce fell ill and died at home in West Sussex in April 1933. Joining the Second World War effort making aircraft parts in a factory in Crewe (where car production was subsequently moved to), the first car produced after the war was the 4.3-litre Silver Wraith with gorgeous sweeping lines designed by legendary coachbuilders like Mulliner and Park Ward. 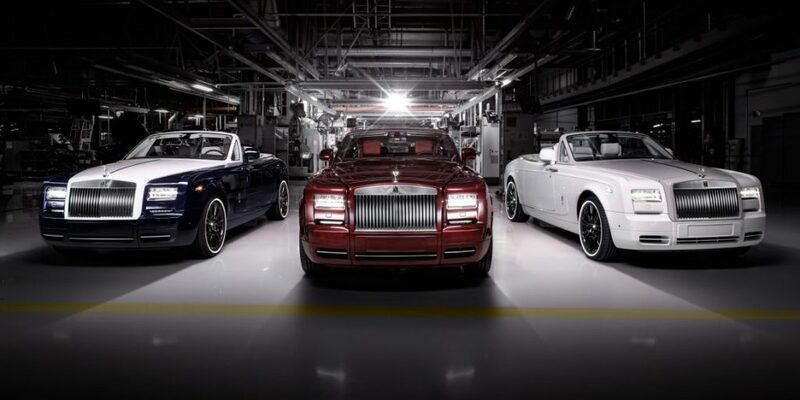 The Wraith was followed by the Silver Dawn, further Phantom models (including the Phantom IV designed exclusively for Heads of State and royalty), the Silver Cloud and the Silver Shadow. There was no hiding it, nor did Rolls-Royce do anything at all to get away from the fact that their cars were for the wealthy elite, a fact that coincided perfectly with the advent of the concept of ‘celebrity’ in the swinging 60s. 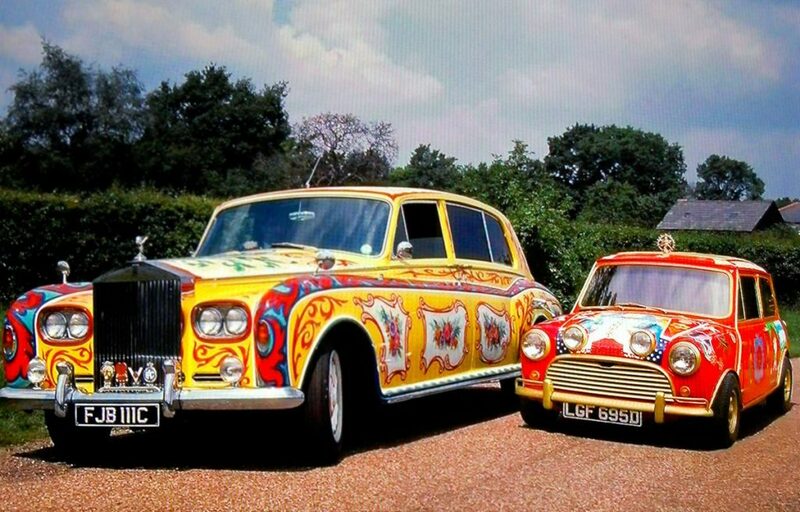 Film stars, sports stars and musicians made Rolls-Royce the ‘must-have’ car, no more so than John Lennon who commissioned Dutch artist collective The Fool to paint his Phantom V in the style of a gypsy wagon (not ‘psychedelic’ as many commentators have written). For many businesses large and small, the 1970s was a testing time. The development of the RB211 turbofan aircraft engine hit snags and after a number of cash subsidies, Rolls-Royce was nationalised by Ted Heath’s government. This resulted in the reorganisation of Rolls-Royce as Rolls-Royce Motors Ltd and Rolls-Royce plc. 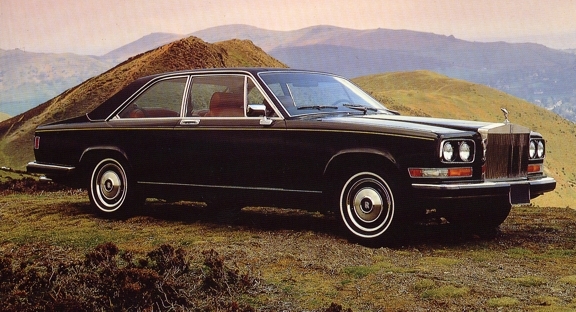 The car division rallied towards the end of the ‘Me’ decade – a phrase coined by Tom Wolfe as people escaped the social stigmas and struggles of the 1960s and became a lot more self-aware in the 1970s – and we saw the Camargue, the Corniche, the Silver Shadow II and the Silver Wraith II all before the decade was out. In the 1980s the company was sold to Vickers plc who subsequently sold Rolls-Royce and it ended up, after seemingly being passed from pillar to post, under the control of the Volkswagen Group. However issues with licensing meant that VW had the rights to the radiator grille and the ‘Spirit of Ecstasy’ mascot but BMW had the rights to the name and the ‘double-R’ logo. Eventually, BMW gained full control in 1998 and in 2003, the first of the ‘modern Rolls’ came off the production line. The Phantom carried the company’s legendary 6.75-litre V12 and was available as a 4-door sedan, an extended wheelbase version, a coupe version and a convertible and subsequent models have included the Ghost (starting at £223,000), the Wraith (starting at £235,000) and the Dawn (starting at £264,000).